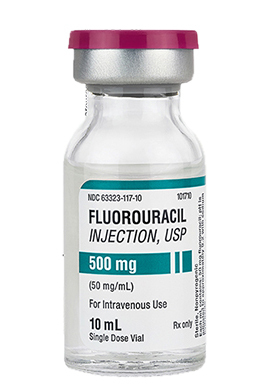 Sterile Fluorouracil antineoplastic agent 500mg, in a 10ml single dose vial. 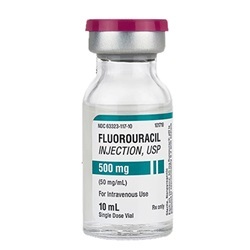 For intravenous use. Manufactured by APP Pharmaceuticals. NDC Number: 63323-0117-10. Comes 10 per box.